Is Your Antenna Not doing it's Job? Call The Experts Near You in Braddon! Are you having problems with your antenna or reception in Braddon? TV Magic specialise in all things TV antenna and have done so for over a decade. We will come out to your house or workplace, do a full assessment of the problem get you an effective and real solution. TV Magic not only pride ourselves in doing quality work, but we also use the best equipment so you end up with the best TV experience. The difference that you will find between TV Magic in Braddon and other TV antenna companies, is that a major focus of our work is quality. We focus on quality customer service, user-friendly and quality equipment. TV Magic Antenna Installation in Braddon make sure that your TV isn't just working, but that it's functioning at it's absolute best! TV Magic Antenna Installation Braddon go the extra mile to professionally calibrate your TV setup so that you are achieving the best quality of sound and picture available to you. 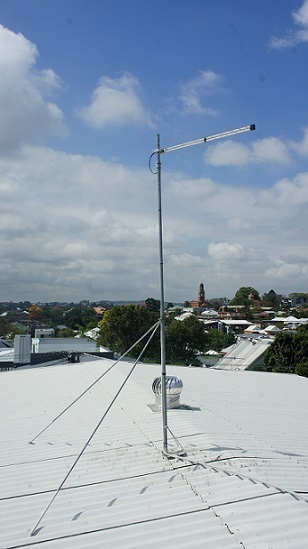 TV Magic Antenna Installation in Braddon Only Use The Best Antennas! TV Magic Antennas have a life span of 10 to 15 years and not only this, but they are Australian designed and proven to last. So when you have your antenna installed or repaired by TV Magic in Braddon, you know that you are getting the best quality of service available reliable equipment, and an experienced technician. All too often, TV Magic Antenna Installation in Braddon are called out to fix the mistakes or careless jobs of others who do not have an emphasis on quality and excellent customer service. So if you want a job that's done the right way, then call your local TV Magic technician today!